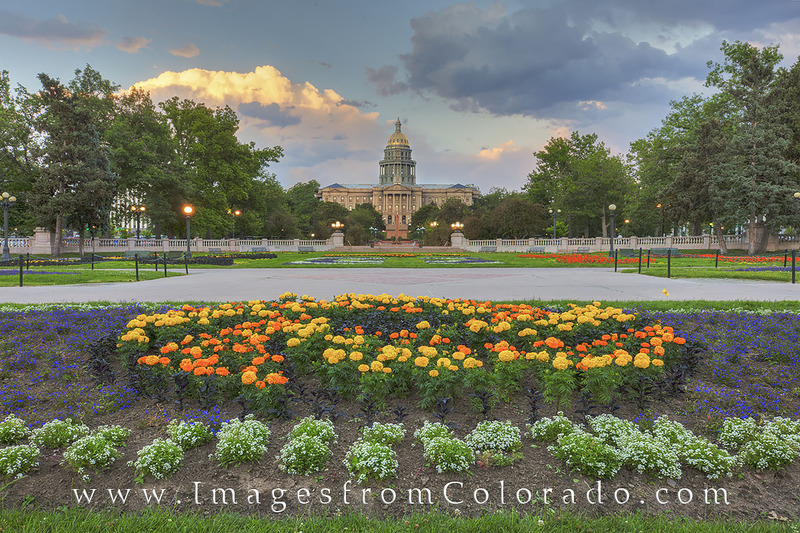 The Colorado State Capitol opened in November of 1894. The building historically sits higher than the rest of downtown Denver, and the main open dome rises 180 feet into the air. A marker on the steps in front of the capitol marks the point at which you are 1 mile above sea level (5,280 feet). Photo © copyright by Rob Greebon.